Today, Alex Rodriguez hit the 630th home run of his legendary career. 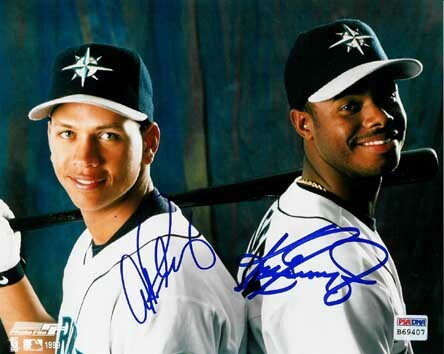 Doing so, Rodriguez tied arguably one of the best players to ever play in the major leagues, Ken Griffey Jr.
After knocking the fastball delivered by Los Angeles Angel pitcher Ervin Santana out of the park, Rodriguez became tied for 5th place on the all time home run list. If he can get thirty more, which is a possibility this season, he would tie Giants great Willie Mays for 4th all time with 660. The only other men in front of A-Rod are Babe Ruth with 714, Hank Aaron with 755, and Barry Bonds with 762. Rodriguez is 36 years old. His career has slowed down in the last few years. However, he has said that if he can continue to play at a high level and help the Yankees win games, he will continue to play and make a serious run at breaking Bonds’ all time record of 762.